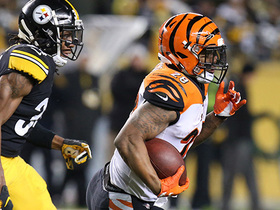 The Steelers enter their Week 17 game against the Bengals ranked ninth in the NFL in total defense (335.9 YPG). The Steelers rank ninth in the NFL in total defense (333.5 YPG) entering their Week 16 game against the Saints. The Steelers are fresh off their most disappointing loss of the season in which they fell 24-21 to the Raiders. 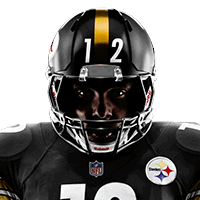 The Steelers enter Sunday's tilt with the Raiders fresh off consecutive losses for the first time all season. The Steelers currently boast the league's sixth-best total defense (325.1 YPG). They'll face the Chargers in Week 13. The Steelers enter their Week 12 game against the Broncos with the sixth-ranked total defense (326.8 YPG). The Steelers enter their Week 11 matchup against Jacksonville as the league's eight-ranked total defense (336.1 YPG). The Steelers enter their Week 10 game against the Panthers with the NFL's 12th-best total defense (347.9 YPG). The Steelers enter their Week 9 game against the Ravens with the league's 15th-best total defense (359.7 YPG). Pittsburgh enters their Week 8 game against Cleveland with the 21st-ranked scoring defense (25.7 PPG). 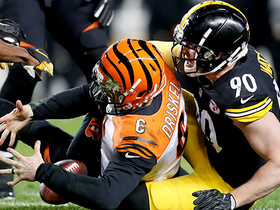 Steelers linebacker T.J. Watt is tied for first in the NFL with six sacks heading into the team's Week 6 matchup with the Bengals. Pittsburgh currently ranks 26th in the NFL in scoring defense (29.0 points per game). 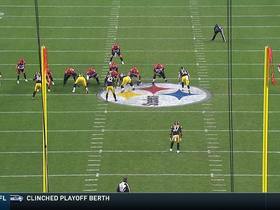 Analysis: Through four weeks, the Steelers have just one win, which came against the Buccaneers in Week 3. There are real issues defensively that have contributed to the early struggles. Despite the emergence of T.J. Watt as a pass rusher and Terrell Edmunds as a weapon at safety, Pittsburgh has been gashed in every contest so far. The Week 5 draw against Matt Ryan and the Falcons isn't going to ease the problems in the Steel City. 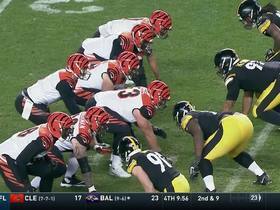 In fact, it might only exacerbate Pittsburgh's defensive problems. The Steelers enter Week 4 action ranked 29th in total defense (410.3 YPG). Steelers cornerback Joe Haden (hamstring) is questionable for Monday's game against the Buccaneers. Steelers cornerback Joe Haden (hamstring) is listed as questionable for Sunday's matchup with the Chiefs. Pittsburgh's starting defense is fully healthy heading into their Week 17 matchup against the Browns. The Steelers starting defense is fully healthy heading into Monday's game against the Texans. Cornerbacks Joe Haden (leg) and Coty Sensabaugh (shoulder) are both listed as questionable for Sunday's game against the Patriots. The Steelers rank fifth in the NFL in scoring defense giving up just 17.8 PPG. CB Joe Haden (upper leg) is out and FS Mike Mitchell (ankle) is doubtful for Monday's game against the Bengals. Safety Mike Mitchell is listed as questionable for Sunday's game against the Packers with an ankle injury. Safety Mike Mitchell (ankle) is listed as questionable for Thursday night's game against the Titans after practicing in a limited fashion Tuesday and Wednesday. Steelers linebacker James Harrison is dealing with a back injury as Sunday's game against Indianapolis inches closer. 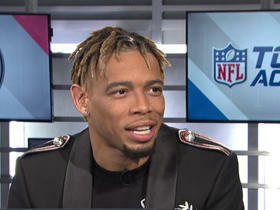 Pittsburgh Steelers cornerback Joe Haden joins "NFL Total Access" to talk about his team's offseason moves, the new reviewable pass interference rule, AFC North and more. 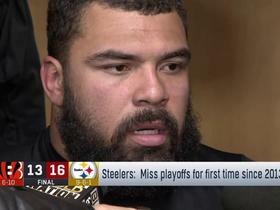 Pittsburgh Steelers defensive lineman Cameron Heyward was wired for sound during his team's final game against the Cleveland Browns in Week 17. 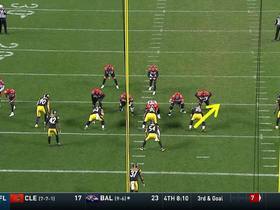 Take a look back at the best five plays from Pittsburgh Steelers safety Troy Polamalu's career. 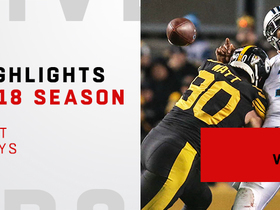 Watch Pittsburgh Steelers outside linebacker T.J. Watt's best plays in 2018. 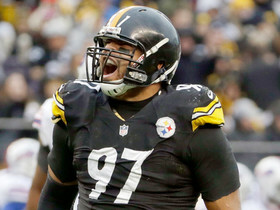 Pittsburgh Steelers defensive end Cam Heyward reacts after the Steelers miss the playoffs this season.